TUMI launched their Autumn/Winter 2018 collection by transforming Garden Court at Pacific Place into a Scandinavian lodge—the inspiration behind the new collection. 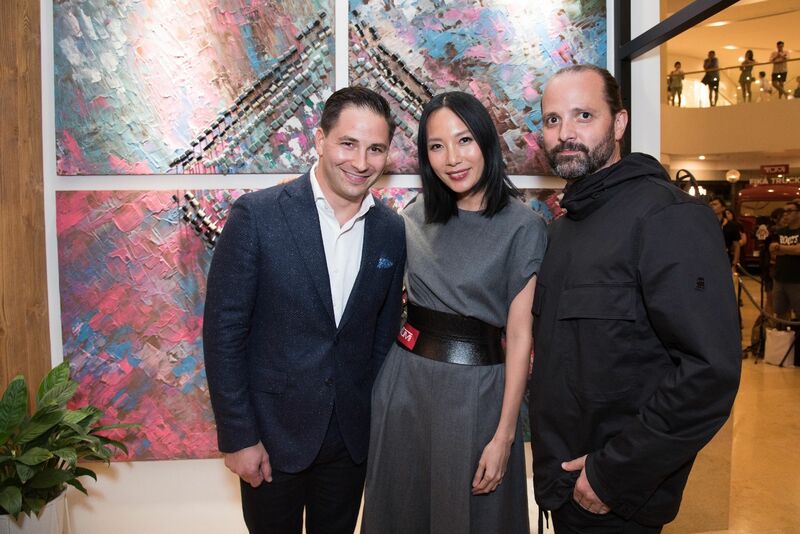 VIP guests immersed themselves in the winter wonderland while perusing the latest offerings from creative director Victor Sanz. Guests including Jamie Lee and Jaime Ku picked up their personalised luggage tags, while others stepped into virtual reality by creating a personal avatar of themselves—which comes alive when scanned over various TUMI softwear—in the digital photo-booth concept by Sean Lee-Davies. Jaime Ku Stylish co-founder of Buzz Agency and Buzz Concepts; married to Benedict. Sue-Lynn Woo-Hwa Worked in banking before joining her mother at the Peninsula Flower Shop as marketing director. Jamie Lee Co-founder of CrossFit852 and budding wine collector.